I’ve been enjoying watching and following along with some of the home automation projects on a Youtube channel I like, called The Hookup. A recent project looked like fun, and since I have always been wanting to try Arduino programming, it was the perfect excuse to jump in! The project was, “$10 Remote Computer Power Management For Your Smart Home”. It was a fun project that I wanted to try out, since Wake on Lan has never really worked well for me. 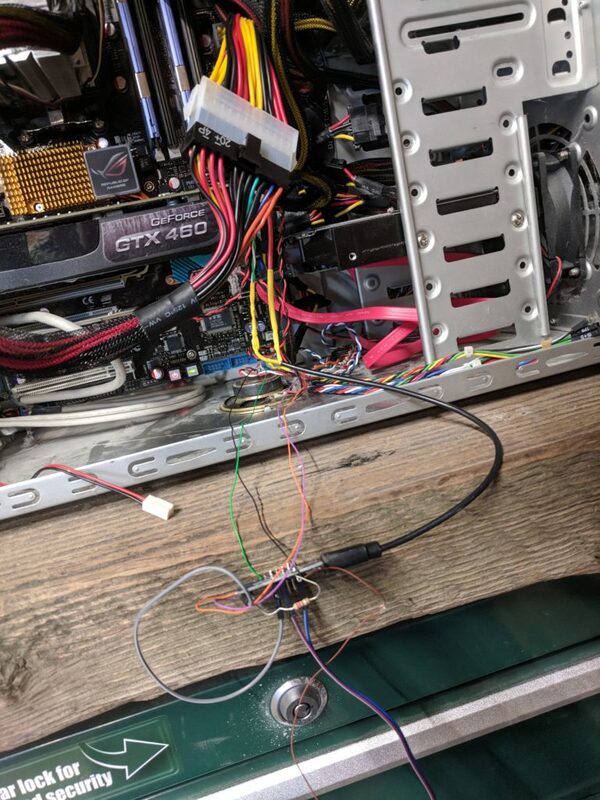 After doing the project, I was looking for a way to power the device without having to run a USB cord from outside the case to inside the case. After a little research, I found there is a “Standby 5V Power” on the standard ATX power connector for motherboards. I won’t show you the materials and instructions needed for the Hook Up’s project. Definitely go to his YouTube page and order materials there to support his channel. This guide will only be what I did to get power off the ATX power supply for my MicroUSB device. I also used Heat Shrink, electrical tape, wire, and an old MicroUSB charging cable that I had around. 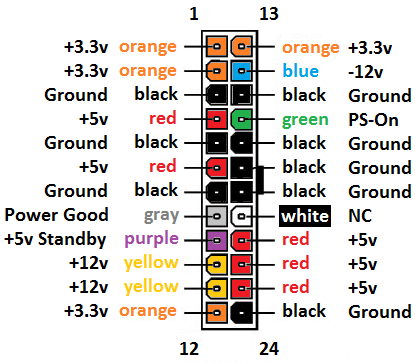 This shows that Pin 9 is the standby, and if your Power Supply is following the ATX standard correctly, it is a purple wire. The great thing about “standby” power is that it is always powered on, even when your computer is off. As long as your power supply is plugged in and switched on, you should have 5V power there. You should be able to splice a MicroUSB cable into the 5V Standby and one of the Common/Ground cables. I picked Pin 7 for my ground. 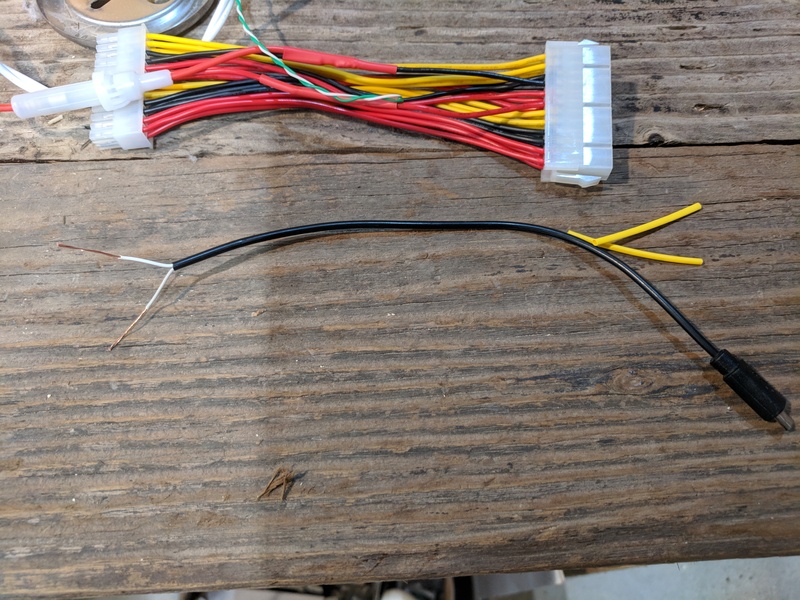 I was too chicken to splice right into my power supply cable, so I bought some ATX power extensions and spliced into the proper pins on those. Use one of the In-Line Fuse Holder’s for the standby power. An ATX Power supply can supply up to 30 A at 5 V, so the fuse should protect your device. I used a 2 A fuse, because MicroUSB shouldn’t pull more than 1.2 A for the old standard that powers the device I’m using. Depending on what device you are powering, you may need to use a bigger or smaller fuse. I used some old wire I had sitting around to connect to the ground/common on pin 7. Heat Shrink tubing is a great way to re-insulate this. 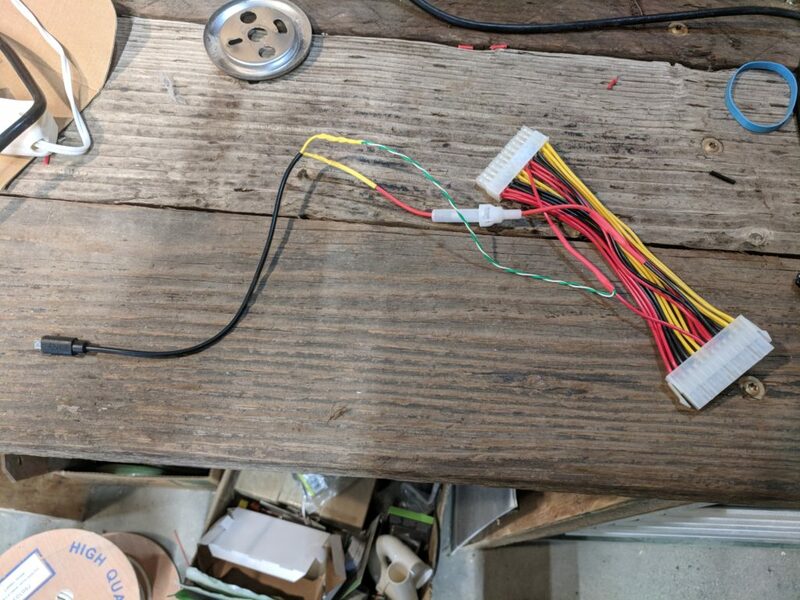 Now if you plug the extension into your motherboard and plug the 24 Pin Power Supply cable into it, you can turn on your power supply and you should read 5V, even when the power is off! Power off the power supply and disconnect the extension cable completely. 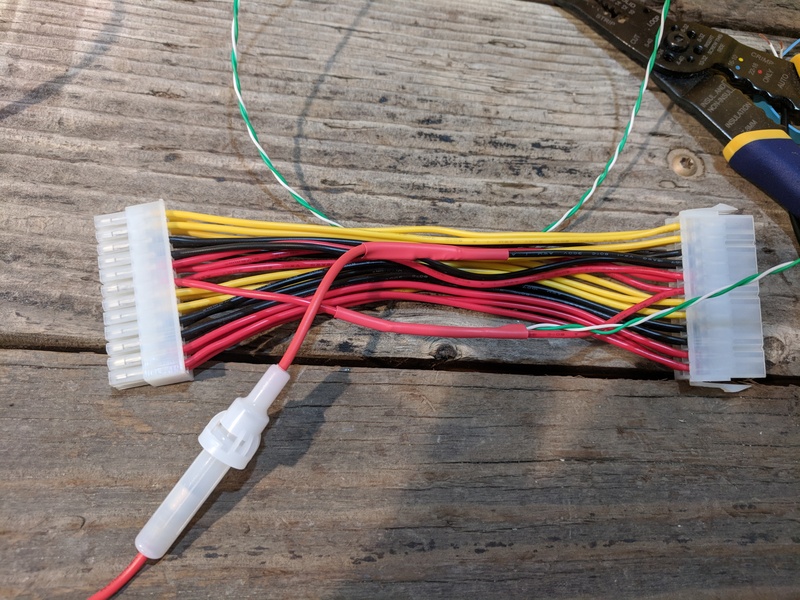 Go ahead and strip the MicroUSB cable and wire the power wire to the In-line fuse and the ground to the common/ground wire you added to the extension. At this point, you can plug everything in inside the case and you should be good to power the device! Tada! My Wemos D1 Mini is all powered up with no wall plug and can be hidden inside the case!